Those who were expecting stellar specs from the upcoming Leagoo S10 will be disappointed because this handset is powered by a MediaTek processor and does not feature 8 GB of memory and 128 GB internal storage as expected. However, this handset with an in-display fingerprint reader is expected to provide a lot for a rather low price. Leagoo was never an original company in terms of design, but for many such Chinese underdogs it is enough to get most inspiration from existing successful handsets, throw in some decent specs and a very attractive price to achieve some degree of success. However, it doesn't always work as expected, and if you want an example, think about Maze Mobile. The upcoming Leagoo S10 finally has a specs list and — as some were expecting already — it does not look as great as anticipated. Back in April, it was expected for the Leagoo S10 to come with a very small notch in the display and a Qualcomm Snapdragon 845 or a MediaTek Helio P60 processor. The memory/storage configurations mentioned back then included a 6 GB/128 GB variant and one with 8 GB/256 GB. 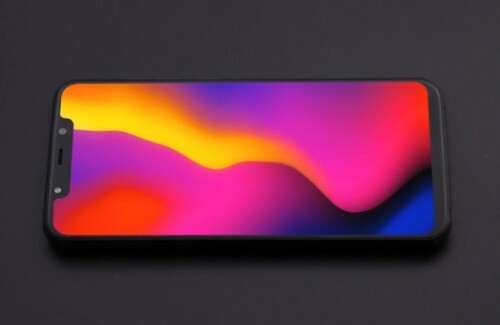 Now, here's the sad truth: the MediaTek Helio P60 chip, 6 GB of memory, 64 GB internal storage, and a huge notch inside the (apparently) AMOLED 6.21-inch display with 2,248 x 1,080 pixels are all that we will get from the Leagoo S10. Fortunately, there are some attractive parts in the specs list of this upcoming handset that need to be highlighted: an in-display fingerprint reader, a rear dual camera setup by Sony with 20 MP + 5 MP, a 13 MP selfie shooter (also by Sony), as well as a 4,050 mAh battery with 9 V/2 A quick charging and wireless charging support. There is no launch information to talk about yet, but Leagoo's Indiegogo page currently says the price is half as that of the Vivo X21 and Xiaomi Mi 8, both featuring in-display fingerprint reading technology as well, but more powerful hardware overall. Insiders familiar with the matter claim that the Leagoo S10 will hit the market for less than US$400 in less than two months from now. Would you grab the Leagoo S10 for US$399.99 or is this brand too obscure for your taste? Let us know in the comments.